Christopher Wree (24), passed away at Santa Monica (UCLA) Hospital in California on March 10, 2008. For almost three years Chris had been fighting metastic osteosarcoma, a bone cancer which had spread to other parts of his body, primarily his lungs. The primary tumor in his left lung was a necrotic mass. After seven different standard chemo drugs, three major surgeries and radiation had all failed, Chris was given hope by participating in research for the trial drug Rexin-G. In January 2008, with the sponsorship of Lazarex Cancer Foundation, Epeius Biotechnologies and a supportive local community, Chris traveled to Southern California for treatment. On February 13, 2008, although medical documents showed the drug was working, it was too late for Chris. The aggressive cancer had consumed his lungs and other parts of his body. The complications associated with the cancer and the stress put on Chris’ body had been insurmountable. Chris is a 2002 graduate from Coventry High School in Rhode Island. He participated in Coventry little league, soccer and basketball. 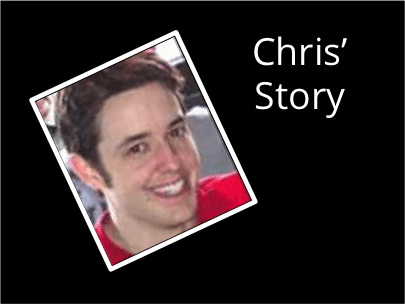 Chris had a passion for poker and was actively involved in the Eastern Poker Tour and poker tournaments at Foxwoods Resort Casino. Chris had a dream of buying into the World Poker Tour in Las Vegas, which he generously invited the nurses at Rhode Island Cancer Center to go with him – at his mom’s expense! Chris’ sense of humor will always carry on with his spirit. He had immeasurable love for his family, especially for his brother and best friend, Dan, and his sister and best friend, Jessica. He expressed concern that his mom, younger brother and sister would be taken care of financially. Erin, Port and Melissa, Chris’ hospice nurses, honored his request to hold a fundraiser to help with his medical expenses. Chris is survived by his mother, Rose Lavallee of Coventry, Rhode Island; Ron Wree of Tennessee; siblings Dan and Jessica Wree, and Aimee and Arthur Lavallee, of Coventry; cousins and close friends Linda and Sarah Pierce, Justin Dondero, Daniel Hurlbut, Warren Smith, Kristi and Angel LaMountain; aunts and uncles Cheryl and Kenny Pierce, Charlene and Lee Garrett, David and Annie Hurlbut, Christine Smith and Michelle LaMountain; grandparents Mary and Bob Cayer of Coventry and George and Edna Wree of Michigan; and other relatives. If there is one word to describe Chris Wree, it is “courage.” Chris volunteered to participate in research trials to help find a cure for this very rare cancer. Osteosarcoma is primarily a childhood disease, affecting less than 1% of the population. A fund is available at Citizens Bank in Coventry, Rhode Island, to help defray the expenses associated with the clinical trial in California, “The Christopher Wree Fund.” Funds remaining after expenses are paid will be used to grant Chris’ final request to come home. In lieu of flowers or gifts, donations can be made in Chris’ name to the Lazarex Cancer Foundation.